– Olympic 100H champion Sally Pearson talking about how she considered retiring after falling and breaking her wrist this outdoor season, but that now she’s motivated to return and defend her title in Rio 2016. Did Deena have pacers in Chicago? Wearing a singlet for something you dont officially represent? I effed up hard in life today, and feel like an idiot. Has any sub-10s sprinter run a Marathon? My friend claims she ran 28 miles during the Chicago Marathon. Could she possibly be that bad at tangents? Two-Time World Marathon Champion Abel Kirui Trying To Get Back On Top In Amsterdam On Sunday 33-year-old Kirui has struggled in recent years with a stress fracture in 2013 and DNF at Boston 2015, but thinks he’s in shape to challenge his 2:05:04 PR from 2009. Amsterdam Preview: Abel Kirui Vs. Defending Champ Bernard Kipyego And CR Holder Wilson Chebet (2:05:27) Also Tsegaye Mekonnen (2:04:32), Jonathan Maiyo (2:04:56), Markos Geneti (2:04:54), Dadi Yami (2:05:41), Feyisa Bekele (2:06:26) and Eliud Tarus (debut – 60:04 half). RunningTimes Q&A With New Mexico Coach Joe Franklin After some key international recruits and transfers, the women Lobos have been ranked #1 all year. They’ll get to prove that this Friday at the Wisconsin Invitational. Sara Hall Shares Her Chicago Marathon GPS/Heart Rate Data She says that in the first half she was “running with a good pack of guys” but struggled to keep pace when she was left on her own the second half of the race. Alexi Pappas Blogs About Training With Her “Biggest Role Model In Sport And Life,” Deena Kastor, In Mammoth Lakes Last Month Pappas said she gained a lot of confidence and insight from training with Kastor and even watching her train. Vin Lannana Satisfied With IAAF’s Latest Visit To The World Indoor Facility At The Oregon Convention Center In Portland Allyson Felix, Ben Blankenship and Jason Richardson were on hand to voice their support for the meet, saying they all hope to be there competing. Usain Bolt Is Happy To Be Back In Training After His Post-Season “Vacation” He plans on making a big push this year to break his 200m WR and get under 19 seconds. LRC: Dickson Chumba & Florence Kiplagat Win, Americans Luke Puskedra And Elkanah Kibet Impress, Deena Gets Masters Record (updated) A great day on the streets of Chicago as two non-rabbited races ended with exciting finishes. Dickson Chumba (2:09:25) and Florence Kiplagat (2:23:33) made it a Kenyan sweep as Americans Luke Puskedra, Elkanah Kibet, Deena Kastor and Sara Hall all cemented themselves as contenders for an Olympic spot come the Trials in February. Chicago Tribune Recap RD Carey Pinkowski tells Kenyans who had a problem with no pacers they can go to Berlin next year. Fionnuala Britton Puts Her Name In Contention For Irish Olympic Spot With A 2:33:15 Qualifying Time She ran 2:31:46 in her debut last year, but it wasn’t within the Olympic qualifying window. “Celebrity” Results From Chicago Running 3:11:27 was Sarah Attar, who in 2012 became one of the first Saudi Arabian women to compete in the Olympics. 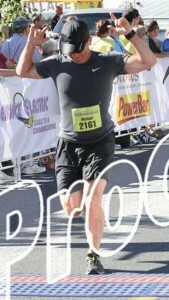 MB: It’s official: Salazar can’t coach the marathon. Puskedra gets dumped by AlSal – runs 18 minute pb!! MB: Deena does it!!! Breaks Colleen De Reuck‘s U.S. masters record of 2:28:40 with a 2:27:47!! MB: Chicago better or worse without pacers? Oct. 18: 10 Sub-60:00 Men Will Line Up For The Valencia Half On October 18th World XC silver medalist Bedan Karoki leads field that includes Abraham Cheroben (58:48), doper Matthew Kisorio and Leonard Komon. LRC What We Learned In Chicago On Thursday: Chicago Cares Deeply About What LetsRun Visitors Think, A Superstar Pulls Out, Joan Benoit’s 30th Anniversary Run May Not Happen, And The Secret To Running A Marathon Every Year For Nearly 40 Years Get the inside scoop from the Windy City. Recommended Read: Q&A With Sara Hall, Who Is Excited For A Chance At Marathon Redemption In Chicago And Excited To Be A New Mom X 4 During her first week as a mom, she banged out a 115-mile week. Recommended Read: Aries Merritt Is Recovering Nicely From His Kidney Transplant And Is On The Mend Dave Hunter catches up with the WR holder who is recovering nicely from his kidney transplant. Spikes Mag Profiles US Hurdles Sensation – 20-Year-Old Shamier Little Distance fans, we suggest you read this as Little is a stud and will be a star on NBC’s Summer Olympic coverage in 2016. Parole Board Meets In Oscar P Case, Says It Won’t Announce Anything Until Next Week As It Wants To Hear Back From His Dead Girlfriend’s Family How could they possibly want him out on the streets? Should The NY DL Be Moved To Philly? $3 Million Complete Renovation Of UPenn Track Is Complete And Penn Relays Director Dave Johnson Dreams They Someday Will Host A DL Event We think it would be a much better venue for a DL event than Randall’s Island. 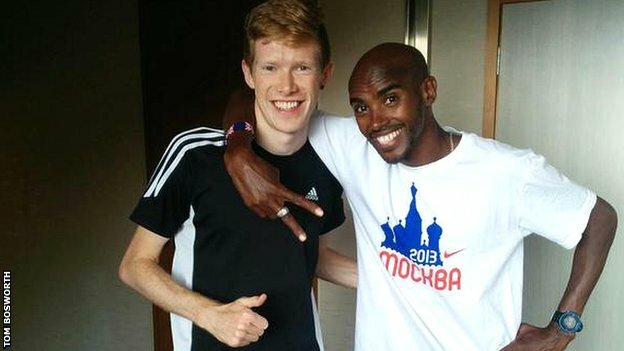 Racewalker Tom Bosworth Is First British Track Athlete To Comes Out As Gay He said everyone, including Mo Farah, was very supportive, but that when he was a teenager in school he was verbally abused and once had his head smashed through a window. Scary: Jogger Gets “Hacked To Death” In Dallas By Former Texas A&M Football Player Police are saying it was a completely random act of violence. NCAA DI Athletes Of The Week Are UMass Lowell’s Robert Allen And Boston College’s Laura Hottenrott They each won their respective races at the New England XC Championships. Shortlist For Euro Men’s Athlete Of The Year Down To Three Mo Farah, LJer Greg Rutherford or Russian hurdler Sergey Shubenkov. 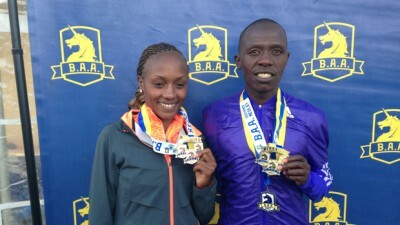 Daniel Salel, Mary Wacera Win BAA Half Marathon Crowns And 2015 BAA Distance Medley Crowns $30,000 for both of them for a little over an hour’s work. Gladys Chesire Runs World Lead In ASICS Grand 10 Berlin, Joshua Cheptegei Breaks Ugandan 10K Record Despite Windy Conditions Chesire won in 30:41 while Cheptegei ran 27:50 to break Moses Kipsiro‘s NR by 2 seconds. Steepler Paul Kipsiele Koech made his road debut with a 6th place finish in 28:25. World XC Bronze Medalist Muktar Edris Wins Giro Al Sas 10K In Italy Edris ran 28:46 to win over Edwin Soi and Thomas Longosiwa. Random: Bolt Vs. Powell – Who’s Better Looking? 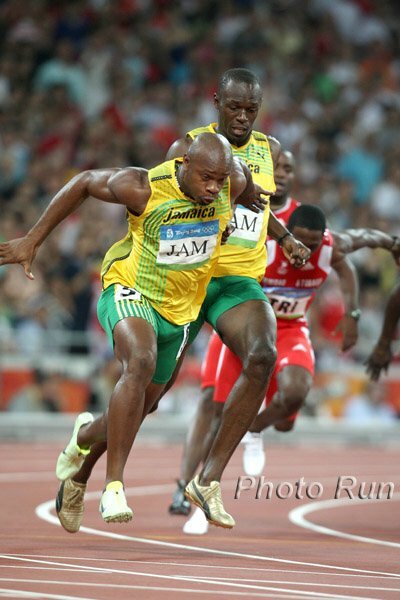 LRC Video: Usain Bolt And Asafa Powell Argue Over Who Is Better Looking The competition between these two sprinters is taken off track as an online poll settles their debate. Running For Children: How Far Is Too Far? A lot of cautionary messages about kids running and training for long distances, but no studies have examined long term effects. However, a UK professor of pediatric sport and exercise says that optimal activity for kids is high intensity and sporadic, rather than moderate and chronic. Haile Gebreselassie Encourages African Sports Stars To Invest Their Money Wisely At Home He’d like athletes to invest in Africa and create jobs to give back to their country. 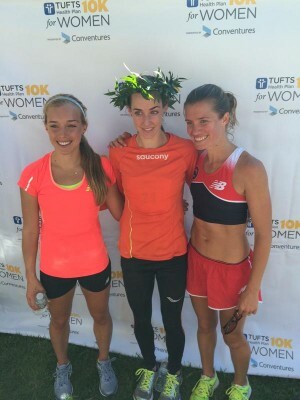 LRC Women’s Preview: Who Wins & Will A 40+ Woman Be The Top American? HM WR holder Florence Kiplagat, Tokyo champ Birhane Dibaba and ’14 Dubai champ Mulu Seboka are the favorites. The battle for top American is wide open as 42-year-old Deena Kastor goes for the US masters record (2:28:40) against 40-year-old US marathon champ Blake Russell and Sara Hall. Then there is ageless wonder, 58-year-old Joan Benoit Samuelson, who will try to run within 30 minutes of her 2:21 winning time 30 years ago. LRC Men’s Preview: Will Sammy Kitwara Arrive As An Abbott World Marathon Major Winner? 2014 2nd and 3rd placers Sammy Kitwara and Dickson Chumba – both of whom set personal bests here a year ago – will be in the field to tackle Tokyo champ Endeshaw Negesse, Rotterdam champ Abera Kuma and ’12 Boston champ Wesley Korir. The U.S. pros are led by 2:11 man Fernando Cabada and former Oregon star Luke Puskedra (61:36 half PR) as the headliners. Is Usain Bolt A Legend & Will He Compete In 2017? Usain Bolt: “If I go to the Olympics and win (again), I will feel comfortable saying to anyone I’m a legend.” He says he’s not comfortable saying that now. We disagree. Usain Bolt Says He Should Do Worlds In 2017 But Doesn’t 100% Commit To It How could he possibly be motivated to go for another year if he wins triple gold (again) at the Olympics? London $$$ is the only answer. Future Legend? After 60-Mile Weeks This Summer, CA State Champ Austin Tamagno Is Ready To Rock His Senior Year The team XC state title is what the 3:46 guy (5th at Foot Locker) wants most. Video Of The Week? Czech Hockey Goalie Celebrates Win With On-Ice Track And Field Display He attempted the javelin, shot put and hammer throw using his goalie equipment. Sports Gene 2.0? Video: “DNA Editing: Doping Of The Future?” Will WADA have to eventually test athletes for “gene editing”? Tori Bowie And Adam Nelson Appearing In Anti-Doping Documentary: “Doped: The Dirty Side Of Sports” The documentary airs Thursday on EPIX at 10:30PM. Nelson will talk about how he finally got his 2004 gold medal from the IOC nine years afterwards in the Atlanta airport food court. Recommended Read: The Story Behind Peter Norman, The White Guy In The Black Power Salute Photo With John Carlos And Tommie Smith At The 1968 Olympics You might assume that the white sprinter in the iconic photo is just a bystander, but he actually was taking party by wearing an “Olympic human rights” badge and fought against Apartheid laws. 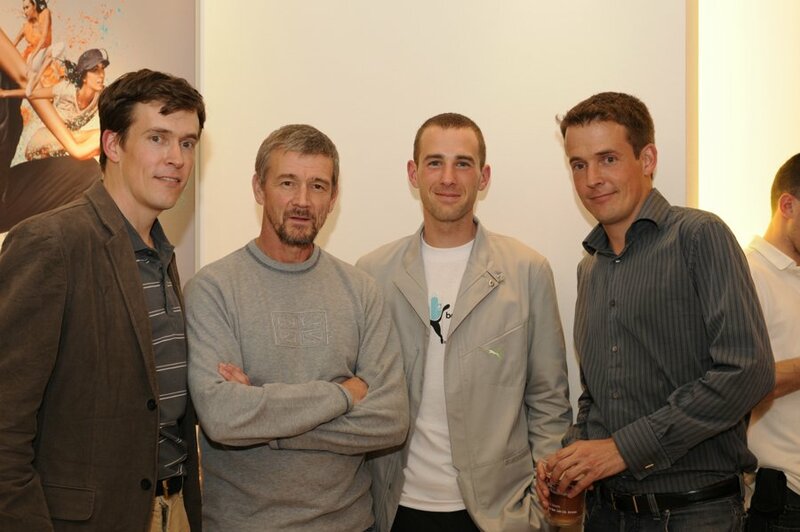 Norman suffered in Australia for his beliefs, but became friends with Carlos and Smith, who ended up being pallbearers as his funeral in 2006. IAAF Personal Bests Q&A With Australian Racewalker Jared Tallent Tallent says his best friend in athletics is his wife, who is also an elite racewalker. London Legacy Group Will Cover Costs Of Staff At 2012 Olympic Stadium Rather Than West Ham Soccer Team West Ham rents the stadium from owners LLDC so LLDC (therefore, some fear taxpayers) will pay for staff and upkeep. LRC The Inside Scoop On The 2015 Chicago Marathon – Meet The LetsRun.com Longshot, Discover The Secrets To The Fountain Of Youth, And Have We Found The Solution To The Sport’s Doping Problems? (link live, updated with photos) The pre-race media day was full of interesting things and we recap 14 of the most interesting for you as we talk to Joanie, Deena, Fernando, Sammy, Lucas, Luke (new dad), Sara (new mom), Sarah, and many others. Joan Benoit Samuelson Not Running Chicago Due To Lingering Effects Of Illness More On Samuelson from the pre-race press conference. 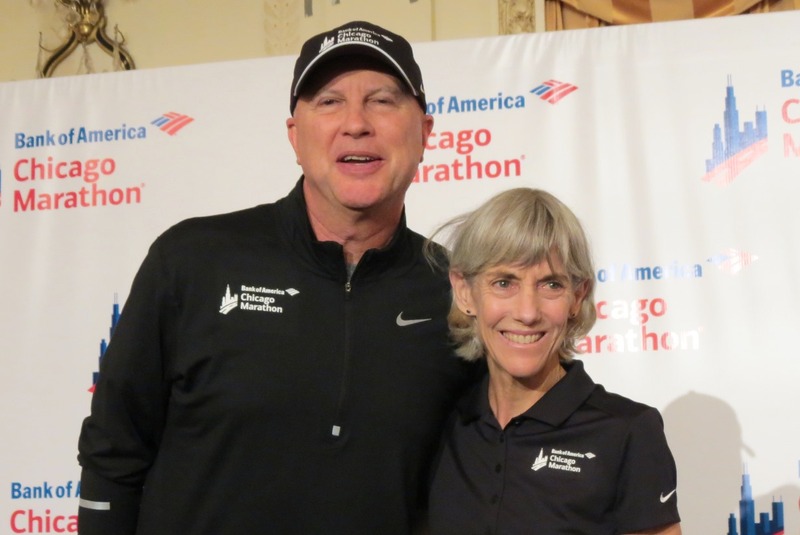 Free History Lesson I: Larry Eder Recaps The Career Of Joan Benoit Samuelson In Chicago As she went from 2:50 in her first marathon all the way down to 2:21, the tough-as-nails Joanie helped women’s running arrive on the scene. Free History Lesson II: Larry Eder Looks At The Life And Career Of Chicago Race Director Carey Pinkowski From sub-9 in HS to a collegiate career at ‘Nova, he was a good runner but a much better race director. Where Are They Now? STEVE JONES By Athletics Weekly 30 years ago, he set the still-standing British record of 2:07:13 in Chicago after going out in a ridiculous 61:42. *LRC Archives: MB: How tough was Steve Jones ? Recommended Read: After Briefly Quitting Running And Gaining 23 Pounds, Luke Puskedra Is Heading To Chicago Looking To PR After a disappointing 2:28 debut in NYC, Puskedra lost his Nike contract and thought about being a car salesman or contractor. Thankfully, Andy Powell convinced him to give running another shot and he ran 2:15 at Grandmas. Belgian 1,500 Runner Tarik Moukrime Wins His First Race Back After He Was Diagnosed With Testicular Cancer Last Year The 3:35 man won a 10K in Belgium in 30:50. Actor Ethan Hawke To Run 2015 TCS New York City Marathon He’s running with his wife for charity. Chris Derrick And Alexi Pappas To Take Part In Lead Vehicle Program At NYC Marathon Like many US elites have in the past before making their debuts, they ride in the back of the lead car watching the race.